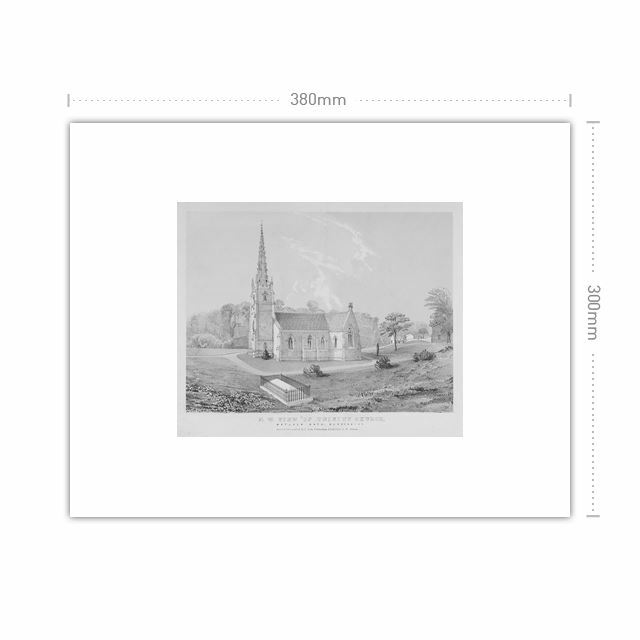 Design your art print poster using one of the great images from our picture library. 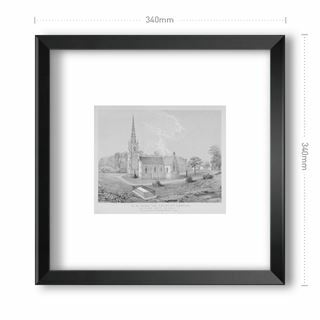 Posters are ideal for adding to your favourite frame, or fixing to wall. We offer a choice of sizes and paper finishes to create your preferred style. 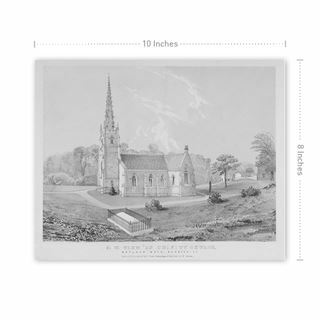 Opened in October 1842, the church is stone built in a cruciform shape with a tall spire and is in the gothic style. It is situated beside the road to Cromford between what was then the Old Bath and the New Bath. Designed by Weightman and Hadfield, it cost £2,250 to build. George W Saxton played an important role in its foundation. The church is not oriented east to west, because of the limitations of the site, but is aligned almost north to south on the tufa shelf, with the altar pointing southwards. 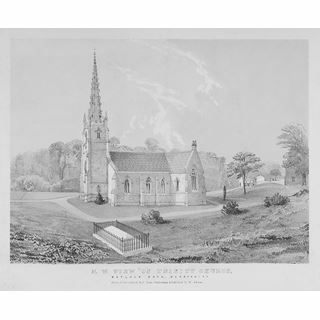 The Archdeacon of Derby, Ven Walter Shirley, laid the foundation stone and the Bishop of Hereford, acting for the Bishop of Lichfield, consecrated the church. T.E.Streatfield made some alterations in 1873/4. Matlock Bath had expanded considerably and the new church would have met the needs of the growing population. 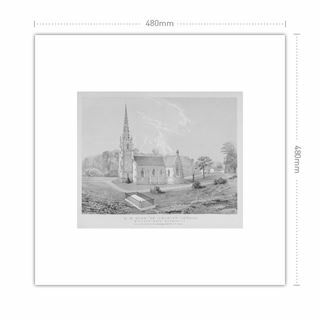 We offer art prints and posters in a variety of sizes, orientation and paper finishes, allowing you to design your perfect poster. Prints are shipped rolled in a cardboard tube to protect your print in post.